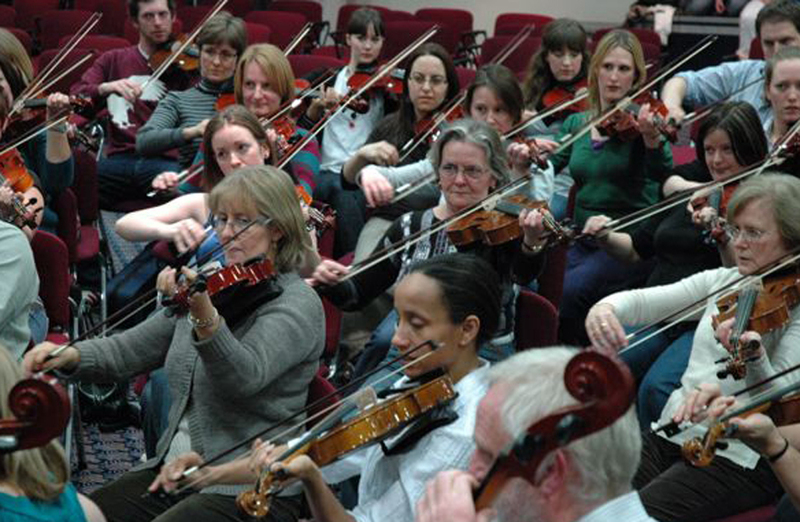 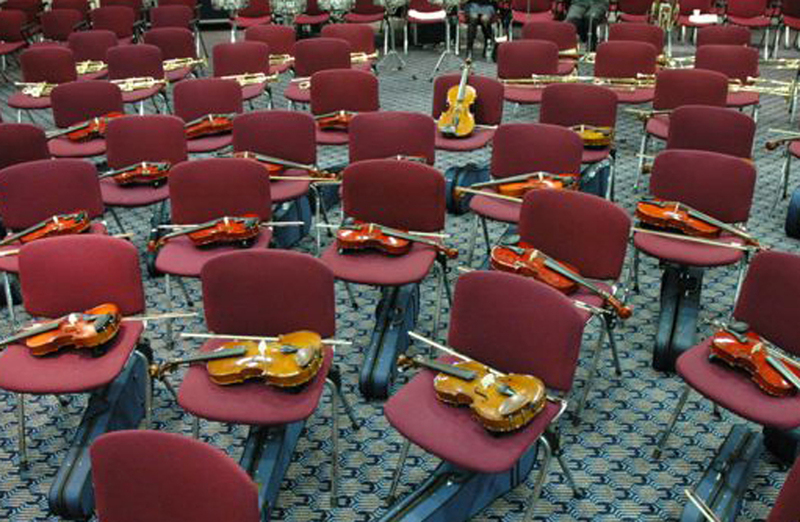 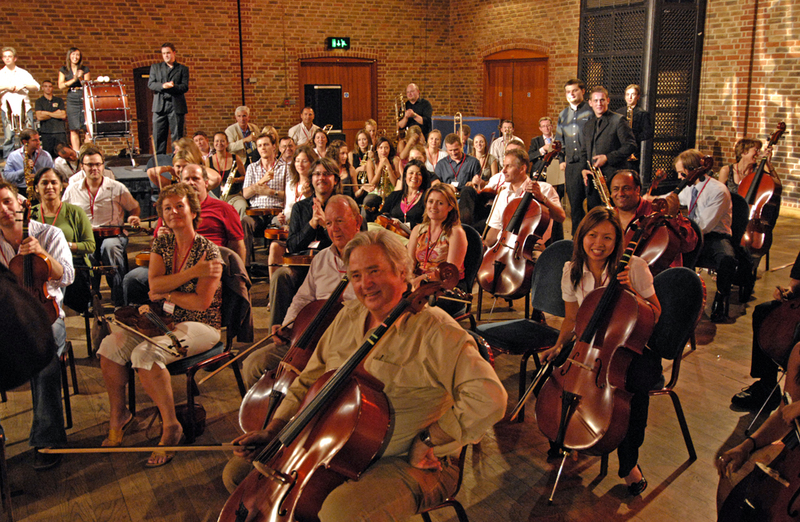 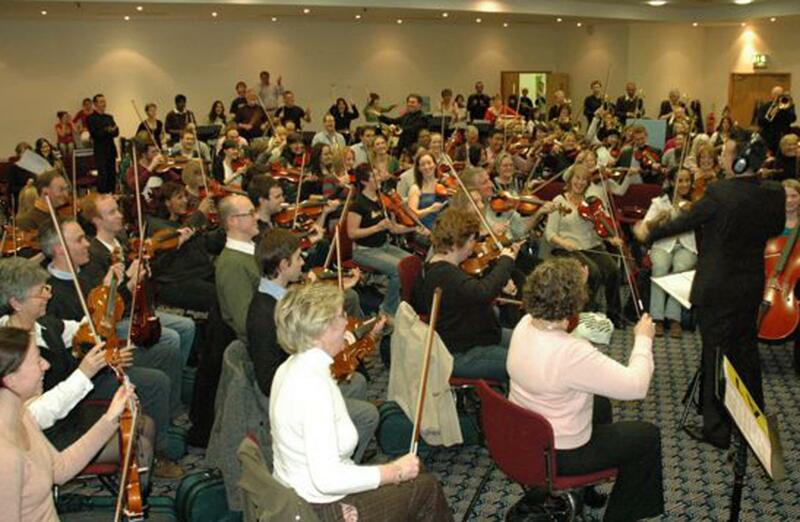 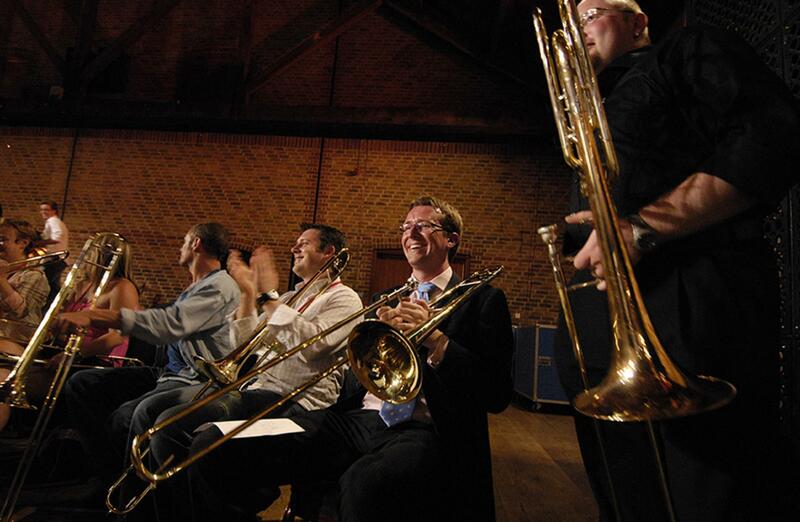 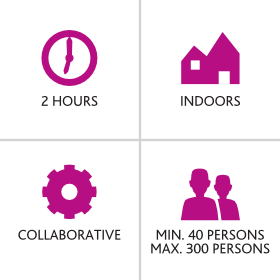 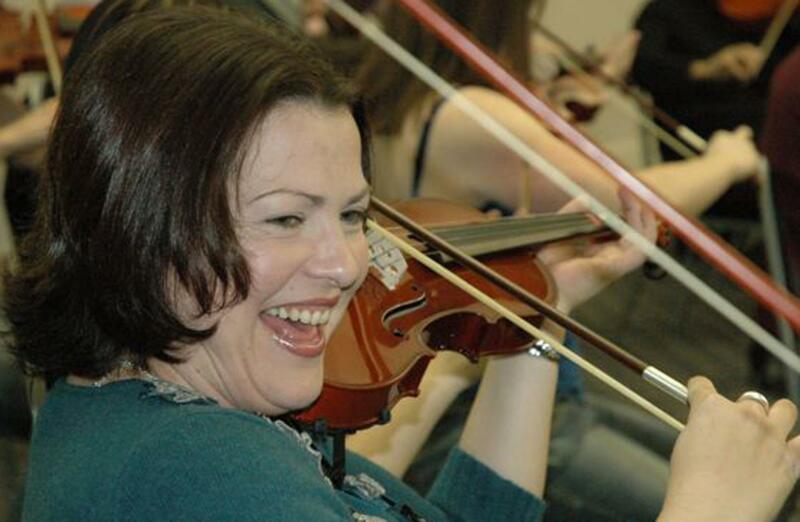 Take on the ultimate challenge to transform your team into a full symphony orchestra in under two hours! 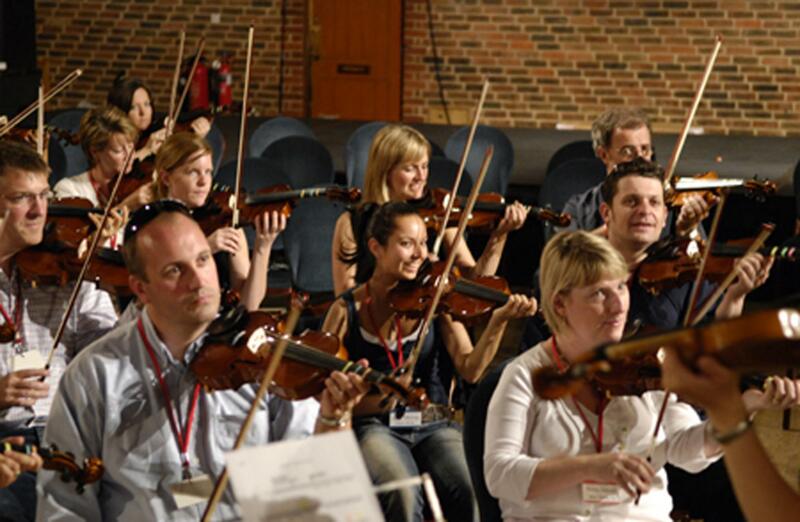 Participants are given a choice of string, woodwind, brass or percussion instruments to choose from. 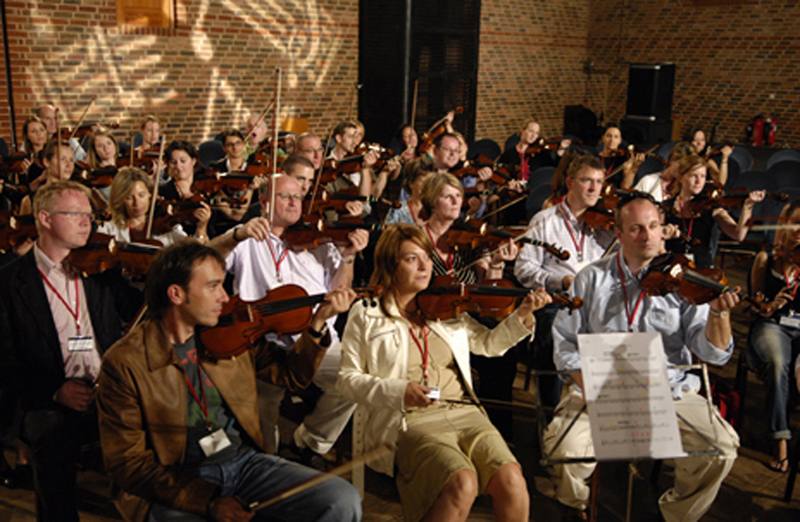 They are then separated into groups under the guidance of expert musicians and instructors to learn the basics of their instrument. Once they have become comfortable with their instrument and have rehearsed the piece of music, they then come together as one mighty symphony orchestra. 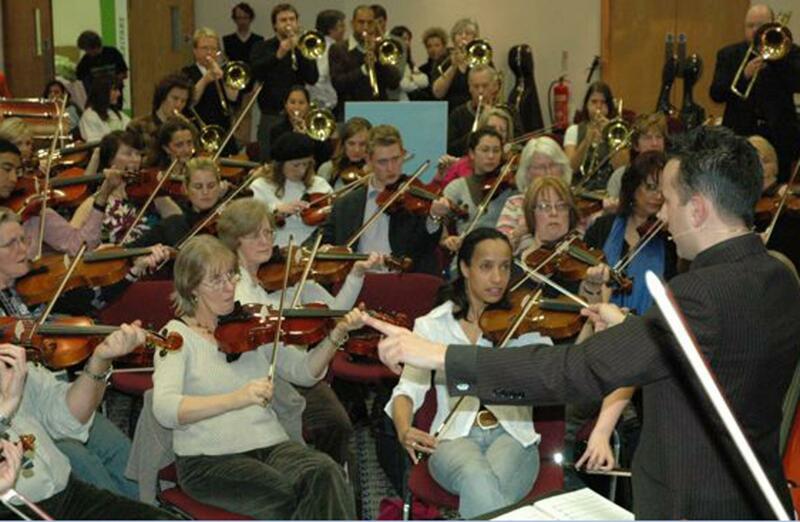 Under the guidance of a conductor they play a specially-written, five-minute-long piece of music. 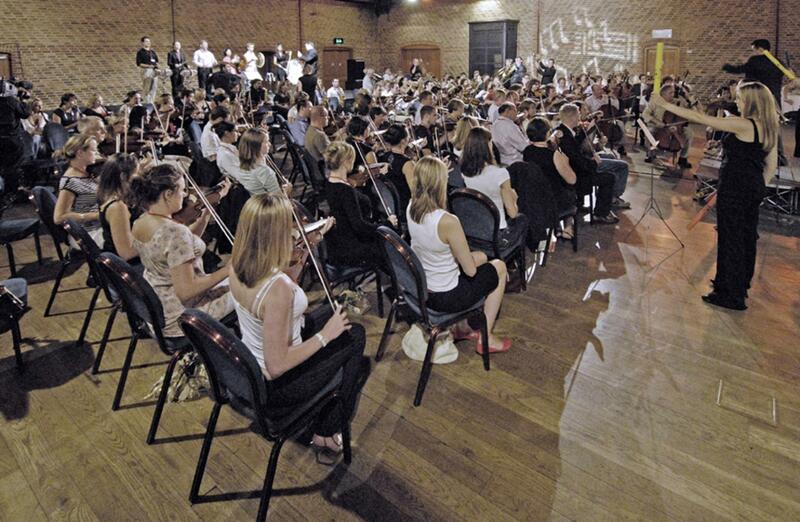 The effect is magnificently and inspiring to all involved. Orchestrate aims to inspire, challenge and uplift all participants and help them to reach their full potential, beyond their personal limitations. 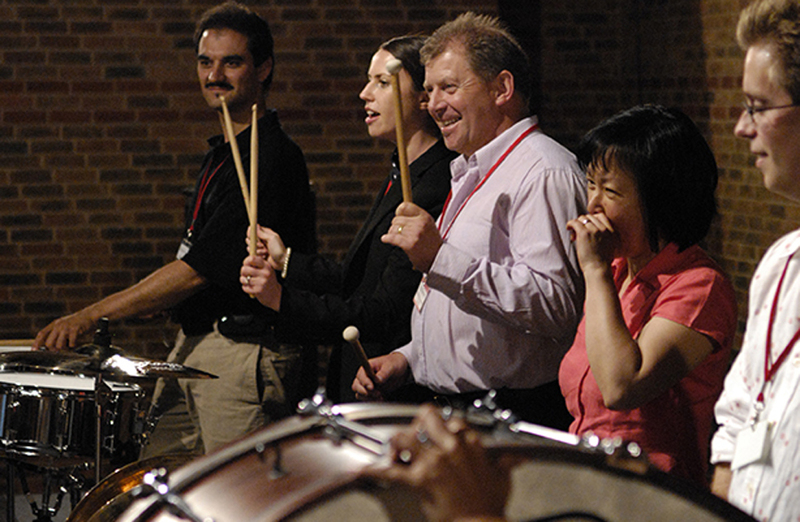 It requires hard work, focus and team work, but the end result is outstanding and will have a lasting impact on individuals, leaving them with a rewarding and unforgettable experience and the ability to take the lessons learned and put them into their every day work.